In a criminal case, the standard of proof is proof beyond a reasonable doubt. This means that the Commonwealth must prove the defendant’s guilt beyond a reasonable doubt before a jury can convict him. At the end of a trial, before the jury makes its determination as to whether the defendant is in fact guilty or not guilty, the judge provides the jury with instructions. These jury instructions are basically a set of legal rules that the jury must follow when deciding the case. One of the instructions provides a more in depth explanation of the meaning of reasonable doubt. Over the years, two main instructions on reasonable doubt have developed. One comes from Commonwealth v. Webster, 5 Cush. 295, 320 (1850) and is referred to as the Webster instruction. The other comes from the Federal Judicial Center’s Pattern Criminal Jury Instructions. The Webster version informs the jury that reasonable doubt exists when “they cannot say they feel an abiding conviction, to a moral certainty, of the truth of the charge.” The Federal Judicial Center’s instruction states that “proof beyond a reasonable doubt is proof that leaves you firmly convinced of the defendant’s guilt.” Despite the length of time that has passed since the Webster instruction was written, and the fact that there has been some criticism of the charge for its outdated language, it has been the preferred version for criminal defendants for more than a century. 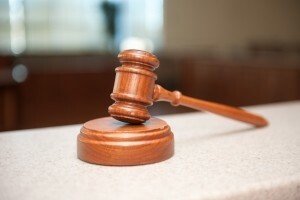 While a defense attorney may request the Webster instruction, it has historically been up to the judge to determine the specific language of the reasonable doubt instruction. If you or a loved one has been charged with a criminal case, you will need a defense attorney who is up to date on changes in the law and who knows how to use such changes to his clients’ advantage. Attorney Daniel Cappetta is such an attorney. Contact him for a free consultation today.